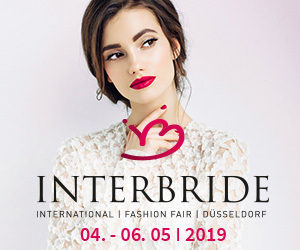 The upcoming season promises to be a fabulous year for bridal brands Modeca, Randy Fenoli and Herve Paris following Bridal Event Amsterdam – an international trade event held in the vibrant Dutch city from 10th-11th March. Hundreds of bridal stores from all over Europe, Australia and even South Africa attended the spectacular event to view the launch of the 2020 collections from the influential brands of Modeca, Randy Fenoli and Herve Paris, with Poirier and Abrazi also joining the event. Retailers were able to see the latest bridalwear designs and the showcase offered a fantastic opportunity to browse and buy the newest collections.